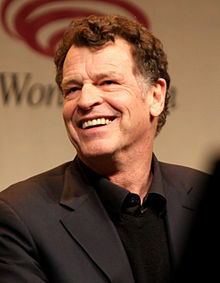 جان نوبل (اینگیلیسجه: John Noble) اوسترالیالی اوْیونچو. ۲۰ آقوست ۱۹۴۸ ‏ ایلینده دۆنیایا گؤز آچیب. 1988–گۆنوموز ایللر آراسیندا سینما ساحه‌سینده چالیشیب. 1991 Police Rescue Sergeant Episode: "Hostage"
1993 Time Trax Mr. Michaels Episode: "One on One"
1997 Big Sky Graham James Episode: "Future Past and Present"
1998 Water Rats Dr. Harry Episode: "Epiphany"
2000 Tales of the South Seas Christian Ambrose Episode: "Trent in Love"
2001 Sir Arthur Conan Doyle's The Lost World Inspector Robert Anderson Episode: "The Knife"
2001 The Bill Commander Warren Episode: "Beech on the Run"
2002 Stingers Michael Kranz Episode: "Disgraceful Conduct"
2006 Stargate SG-1 Meurik Episode: "Camelot"
2007 Journeyman Wine Connoisseur Episode: "Winterland"
2007 The Unit The CEO Episode: "Pandemonium – Part 2"
2013 Miss Fisher's Murder Mysteries Edward Stanley Episode: "Murder Under The Mistletoe"
2015 Forever Aubrey Griffin Episode: "The Last Death of Henry Morgan"
2017–2018 DC's Legends of Tomorrow Mallus (voice); Himself recurring voice role; appearing in episode "Guest Starring John Noble"
↑ Sands, Rich (7 January 2013). "First Look: Matt Bomer Gets Animated for Superman: Unbound". TV Guide. Retrieved 7 January 2013. اینگیلیسجه ویکی‌پدیاسی‌نین ایشلدنلری طرفیندن یارانمیش«John Noble»، مقاله‌سیندن گؤتورولوبدور. ( ۲۲ ژانویه ۲۰۱۸ تاریخینده یوْخلانیلیبدیر). قارداش پروژه‌لرده جان نوبل گؤره داها آرتیق بیلگی‌لر تاپابیلرسینیز.